Laser + Holistic Dental offers a range of oral surgery options to treat a variety of common dental problems. Some of these treatments include extractions and wisdom teeth removal, bone cavitation curettage, laser frenectomies and laser gum lifts. With all types of oral surgery, Laser + Holistic Dental embraces advanced technologies to see fast healing, minimal discomfort and great patient results. 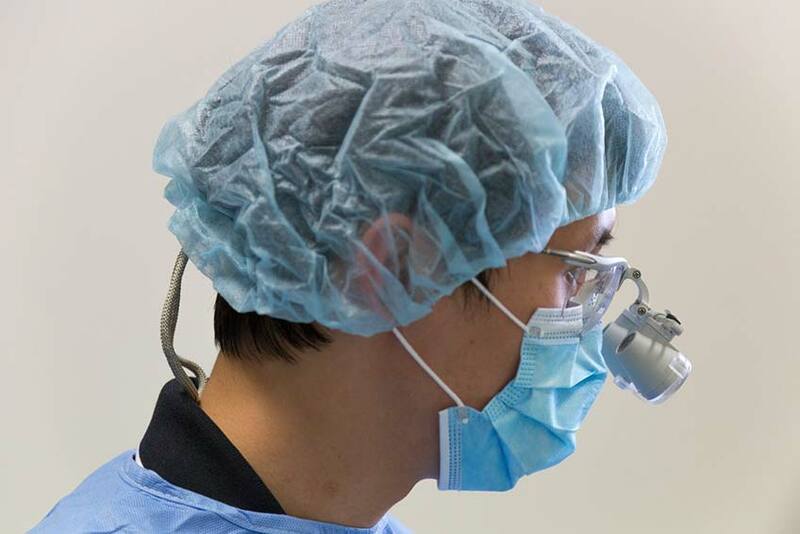 Learn more about our surgical technologies here. An extraction is a common procedure that involves a tooth being removed – usually due to infection or because a tooth is pushing on or damaging other teeth. Extractions are an alternative to root canal treatments when the tooth and the surrounding area has been damaged by a serious infection. In these circumstances it is unlikely a root canal would have a satisfactory result – so an extraction followed by the placement of a zirconia implant, bridge or metal free denture would be preferred. Many patients suffer from ‘impacted’ wisdom teeth, where the teeth are not growing correctly – pushing and damaging on other teeth. In most cases it is recommended that impacted wisdom teeth are removed to prevent future complications. The common problems caused by impacted wisdom teeth are shown below. At Laser + Holistic Dental all of our surgical services are designed to ensure our patients are relaxed and comfortable at all times. We understand that some patients will prefer to be unconscious, with a general anaesthetic during surgery. However, at Laser + Holistic Dental we prefer to treat our patients under local anaesthetic, combined with mild oral sedation in-house at our clinic in South Yarra. reduced risk of nosocomial (HAI) infections: in 2010 there were around 200,000 healthcare associated infections (HAI) in Australia.1 Bacteria like Golden Staphylococcus and E. Coli are common in hospitals an account for a large proportion of HAIs. access to regenerative stem cell technology: Laser + Holistic Dental uses CGF technology, using stem cells to reduce pain and accelerate healing. Read more about our technologies here. At Laser + Holistic Dental, we have developed our extraction method to accelerate wound healing, reduce inflammation and ultimately reduce downtime for the patient. CGF is a stem cell grafting technique to improve wound healing and reduce pain and inflammation. 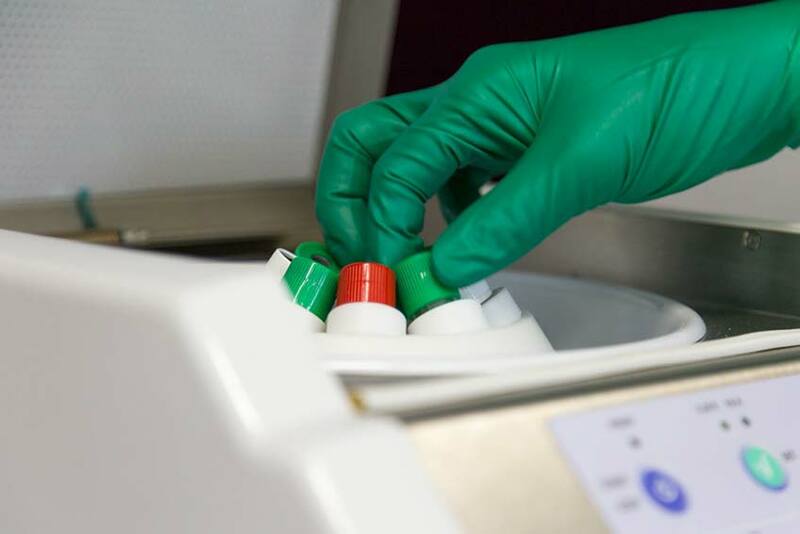 Using growth factors derived from your own blood, CGF eliminates the concern of adverse immune responses from using other human or animal species cells. Osteon is a synthetic bone material that acts as a scaffold for your body to rebuild new bone around. When combined with CGF, our dentists create biocompatible ‘sticky bone’ to accelerate the development of new bone in the extraction site. We use our Er:YAG laser for curettage and sterilisation of the extraction area. Using the laser helps to remove remnants of the periodontal ligament, any infected tissue and pathogens, then it seals up the area to form a ‘seal/membrane’ to help the healing process. In some cases the sinus area is vulnerable to infections from the mouth during surgical procedures. This either happens because of the tooth roots going through the top of the jaw bone (anatomical) or because the infection has eaten through the bone. When necessary, Laser + Holistic Dental treats the infected area with a laser to kill any infection, before being sealing the sinus from the mouth with an autologous membrane derived from your own blood. To learn more about the surgical technologies and extraction process at Laser + Holistic Dental, please download the FAQ below. Please submit your details below to receive an emailed PDF of the common FAQs relating to Extractions & Oral Surgery. Implication of general anaesthetic and sedation techniques in temporomandibular joint disorders – a systematic review. We will call or email you soon with more information about Extractions & Oral Surgery.